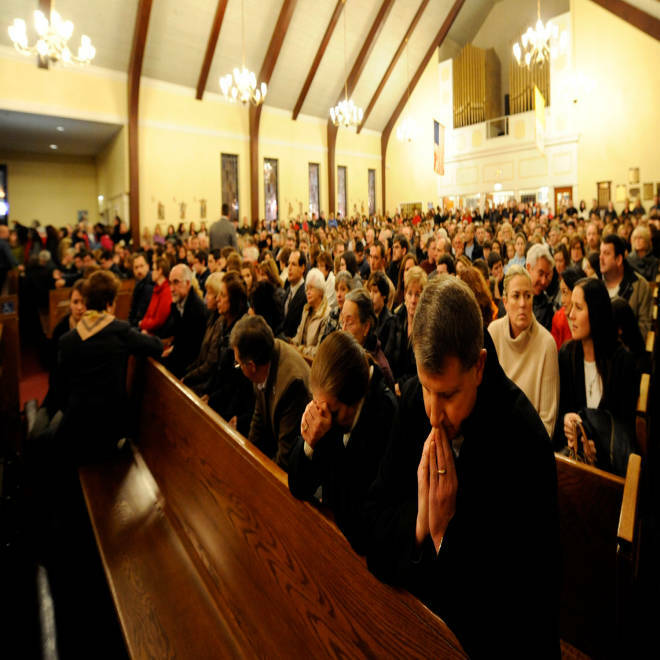 Mourners gather inside the St. Rose of Lima Roman Catholic Church in Newtown, Conn., on Friday night at a vigil service for victims of the Sandy Hook Elementary School shooting. Click this image for more pictures. Updated at 11:55 p.m. ET: Residents from around the region streamed Friday into St. Rose of Lima Roman Catholic Church in Newtown, Conn., to mourn the 20 children and six adults who were killed when a gunman opened fire in an elementary school. A memorial Mass got under way at 7 p.m. ET at the church, whose pastor, Msgr. Robert Weiss, spent much of the day at a firehouse that had been turned into a gathering place for families affected by the shootings at Sandy Hook Elementary School. The church was packed, and hundreds of people who couldn't get in stood silently outside, where 26 candles were set up by a tree wth a cross. Some held hands, praying as a group. Others reverently touched a statue of Saint Rose, the first person native to the Americas to be canonized by the Catholic Church, before crossing themselves. Gov. Dannel P. Malloy was among the speakers at the service inside the St. Rose of Lima Roman Catholic church, The Associated Press reported. "Many of us today and in the coming days will rely on what we have been taught and what we believe, that there is faith for a reason," Malloy said. 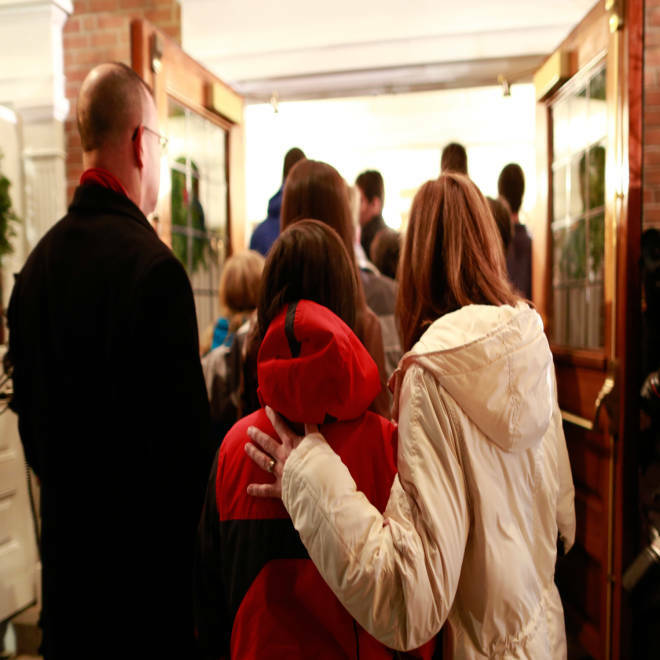 The service was just one of many prayer services and vigils planned across Connecticut through the weekend, NBC Connecticut reported. A statewide moment of silence was observed at 9 p.m. ET. After the vigil at St. Rose, Weiss told reporters gathered outside that six or seven kids who had attended the church were among the 20 children who died. People file in to St. Rose of Lima Roman Catholic Church in Newtown, Conn., to pay their respects to the victims of the shooting Friday, Dec. 14, 2012, at Sandy Hook Elementary School. Just a short drive away, parishioners at Trinity Episcopal Church shed tears during a solemn prayer service. The quiet crying grew louder when the Rev. Kathleen Adams-Shepherd announced that two children, members of the congregation, were among those killed. Adams-Shepherd had spent much of the day at the fire station with the families of some of the presumed victims. "I don't think we'll ever be the same," she said. Alex Moe, John Schoen and Miranda Leitsinger of NBC News contributed to this report from Newtown, Conn.